Wow! What a view! Located on a unique 19,732 Sf lot with unobstructed jet liner views of the valley, stands this completely private one-story compound. The park like setting is an entertainers dream. 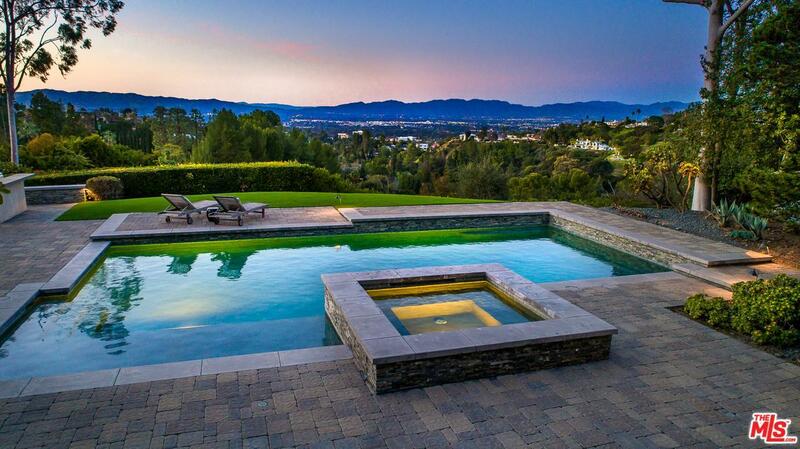 A custom-built pool set midst the views with lush landscape a built-in grill and bar. Secluded from the street a large front grassy yard welcomes you in. Lined with white oak floors the open floor plan features a large living room and dining room in the front of the house. The custom kitchen opens to the resort like back yard with an eat in area. The large family room anchored by a fire place also opens to the back yard. Wake up every morning to a picturesque view, the large master retreat features a generous walk in closet, and a spa like bath with jetted soaking tub and glass shower. For those who seek the utmost privacy with a Zen like feeling, this is the home for you! Sold by Cindee Zabner BRE#01723550 of Keller Williams Realty World Class. Listing provided courtesy of Alphonso Lascano DRE#01723550 of Hilton & Hyland and Bjorn Farrugia CA DRE# 01864250 of .